Roland Guidry is a retired Air Force Colonel, who led an extraordinary career in air special operations during two very volatile periods in US history. The first was Vietnam, flying special “Buffalo Hunter” missions to launch photo reconnaissance drones into enemy territory from his DC-130 aircraft, in support of special missions like the Son Tay Raid. The second was the Iran Hostage Crisis in early 1980. Many people know from the 2012 film, “Argo,” of the six diplomats who initially evaded capture and made it out of Iran in January 1980. But a separate effort, dubbed Operation EAGLE CLAW, was also launched in April of that year to rescue the much larger group of American embassy staff held captive in Tehran. Col Guidry flew the assault and hostage rescue forces into the Iranian desert on the first night of this two-night, daring and audacious operation. Unfortunately the operation ended in tragedy and the rescue effort was ultimately aborted. But what came out of the ashes of EAGLE CLAW was the modern-day US Special Operations Forces community as we know it, with Col Guidry again at the forefront of that effort. 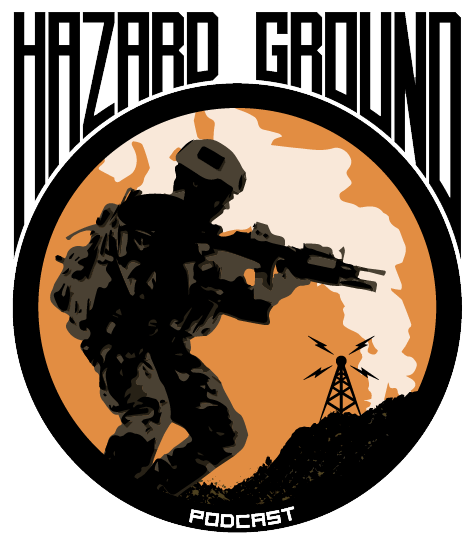 Hear how it all unfolded in this very special episode of Hazard Ground!